United States President Barack Obama Banned Nativity Scenes at the White House? - Truth or Fiction? United States President Barack Obama Banned Nativity Scenes at the White House? 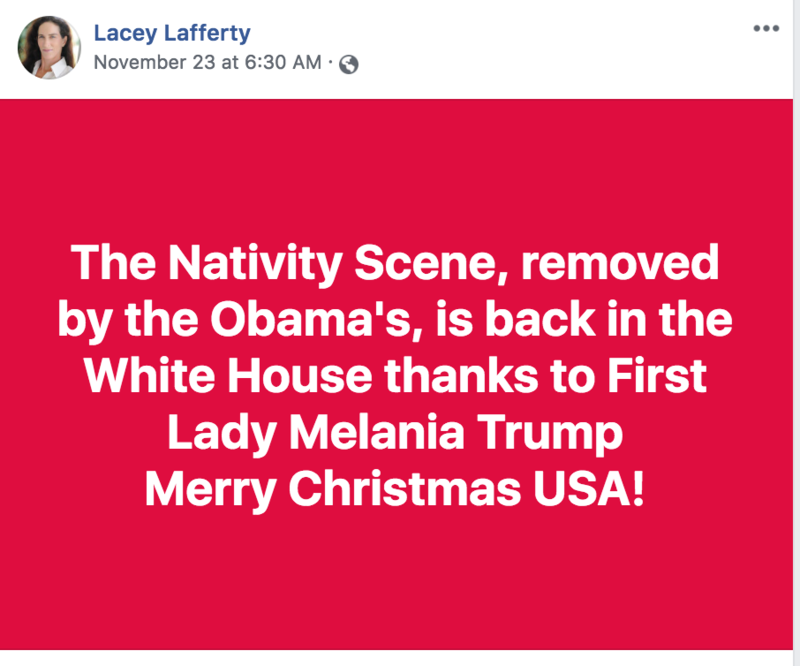 False claims that President Obama banned nativity scenes at the White House have been circulating since 2009 — and they persist today. 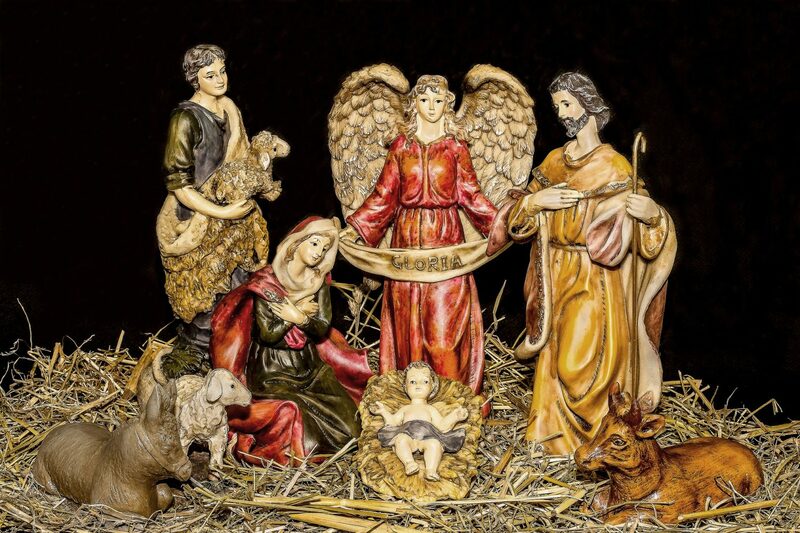 United States President Barack Obama banned Christmas nativity scenes at the White House. President Barack Obama took office in January 2009 after a presidential election that was as historic for its voter turnout as it was for his ascension to office as the first black leader of the United States. Immediately, rumors began to appear about purported changes he was making to the White House and to the nation. These stories were not based in fact, but instead was part of a larger effort to push baseless speculation questioning Barack Obama’s American citizenship and faith to heavily imply (or say outright) that he was either too unqualified or too traitorous to be president. This particular rumor appears to have been drawn from a report that appeared in the New York Times‘ fashion section which made reference to the Obamas planning a “non-secular Christmas.” The original report was about Desirée Rogers, a corporate executive from Chicago, joining the Obama White House as its social secretary. In the end, the Obama White House displayed the nativity scene. But this was red meat for those looking for ways, no matter how byzantine, to push fake news; rumors that Obama banned the nativity scene, like all the others, persisted throughout his presidency. Many stories about the Obamas’ so-called “war on Christmas” have circulated over the years, usually accompanied by heavy innuendo that it was because Barack Obama (and, by extension, Michelle Obama) was a “secret Muslim.” This manifested in bogus claims such as the rumor that the FCC fined ABC for airing a Charlie Brown Christmas special; stories that Obama had refused to deliver Christmas cards to soldiers followed. There were many more, all untrue. 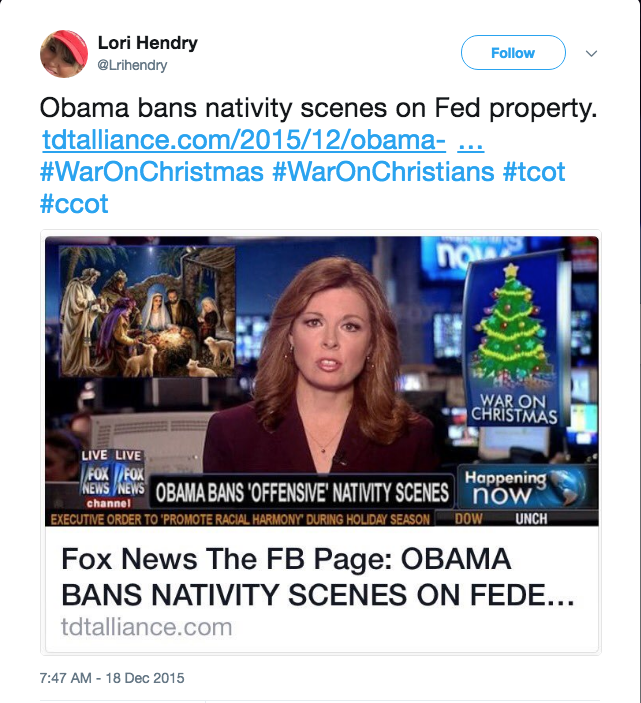 The rumor that Obama banned nativity scenes (or other Christmas traditions or symbols) still persists. President Donald Trump repeatedly has said that he is “ending the war on Christmas” — which has reinforced both the idea that there is some sort of “war” on one of the biggest marketing seasons of the year and that Barack Obama was leading it. We’re getting near that beautiful Christmas season that people don’t talk about anymore. They don’t use the word Christmas because it’s not politically correct. You go to department stores and they’ll say ‘Happy New Year,’ or they’ll say other things and it’ll be red, they’ll have it painted. But they don’t say — well guess what? We’re saying Merry Christmas again. In the end, Obama did not ban nativity scenes at the White House, in the United States, or anywhere else. Despite that, these rumors are likely to persist as long as disinformation purveyors continue to find them highly lucrative. Stolberg, Sheryl Gay. "The Spotlight's Bright Glare." Barr, Andy. "2008 turnout shatters all records." The White House Historical Association. "Barack Obama." FDA Confirms DTaP Vaccine Causes Autism in November 2017-Fiction!